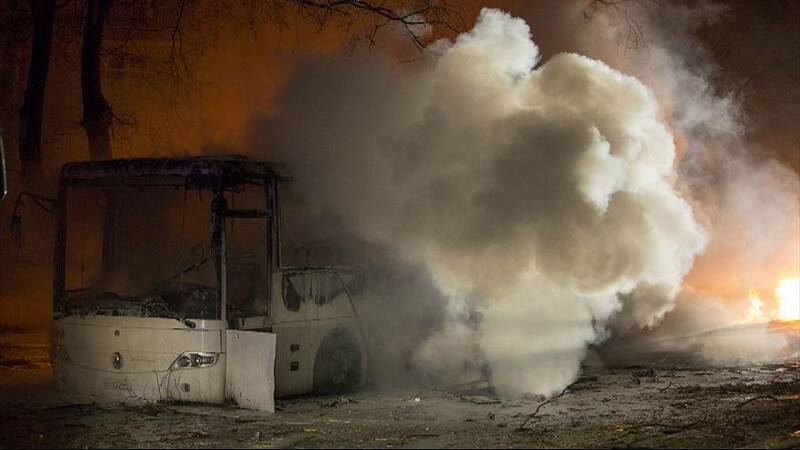 A vehicle laden with explosives was reported to have detonated as military buses passed close to parliament, government buildings and Turkey’s military headquarters. The blast occured during the height of the evening rush hour. Deputy Prime Minister Bekir Bozdag said on Twitter the attack was an act of terrorism. The Ankara blast comes after an attack in the city in October which was blamed on Islamic State. Two suicide bombers struck a rally of pro-Kurdish and labour activists outside the capital’s main train station, killing more than 100 people. Kurdish militants, radical leftists and Islamic radicals, have all staged bombings in Turkey in recent years. A central strategy of the outlawed Kurdistan Workers Party (PKK), which has waged a three-decade insurgency in Turkey, has been to attack military targets. In the past though it has largely focused on the mainly Kurdish southeast. Turkish President Tayyip Erdogan said he had postponed a planned visit to Azerbaijan because of the bombing.